A complete award-winning registry management solution with a wealth of powerful features. 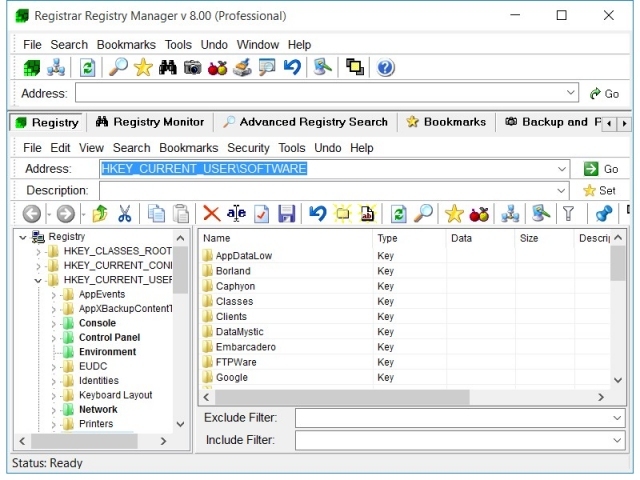 Registrar Registry Manager v8 supports all versions of Windows 10, Windows 8.1. Windows 8, Windows 7 and Windows 2012 Server. For a list of supported operating systems, click here. 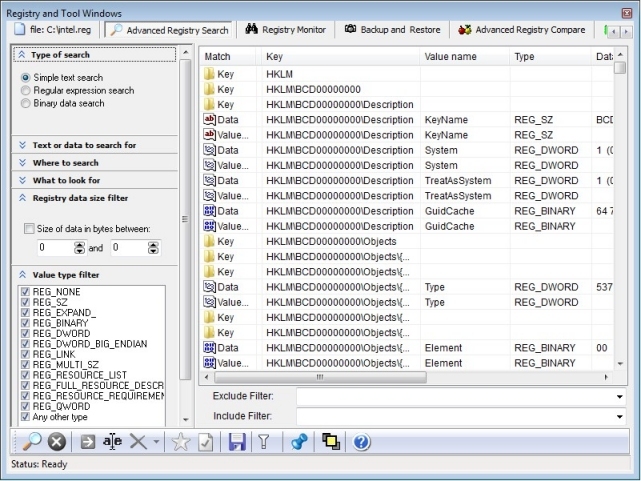 The professional version of Registrar comes in both 32-bit and 64-bit editions. On an x64 version of Windows, the 64-bit edition offers significantly better performance and other advantages. Check here for an overview of features that Registrar offers. Page generated on 4/19/2019 12:17:11 AM. Last updated on 2/24/2019 6:32:37 PM.